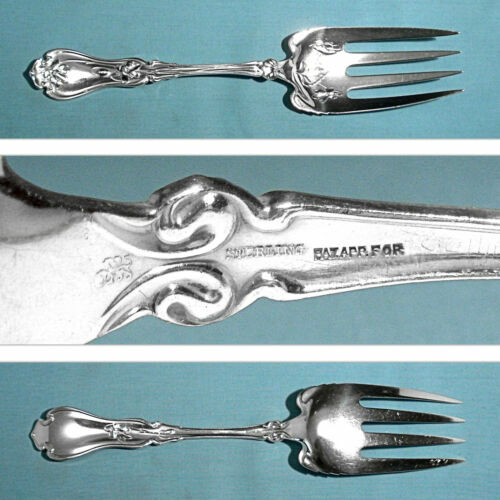 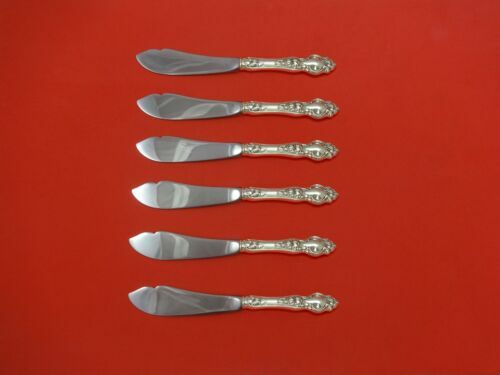 $240.0 Nice Boxed Set 6 Wallace Iris Sterling Cocktail Forks 5 3/4"
$15.99 Whiting Mfg. 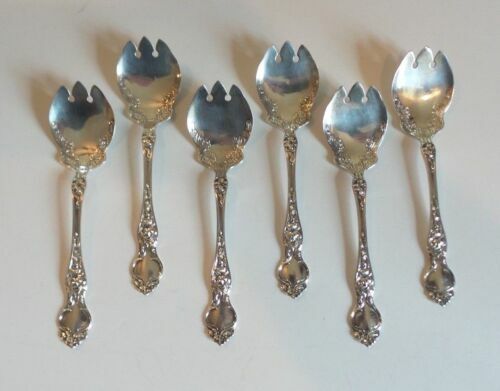 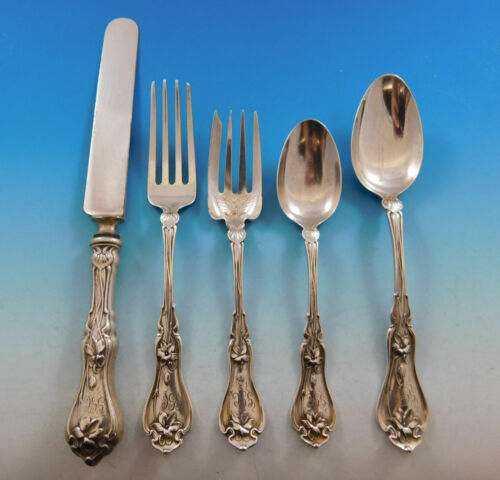 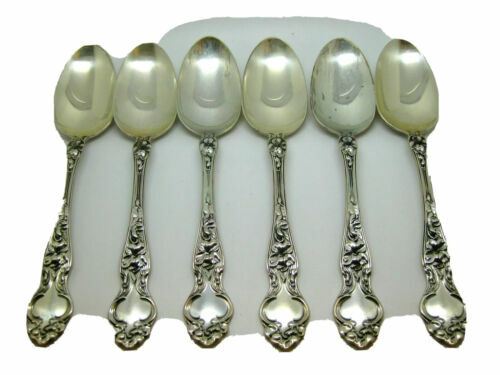 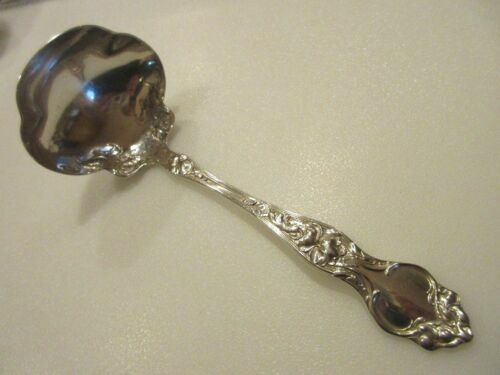 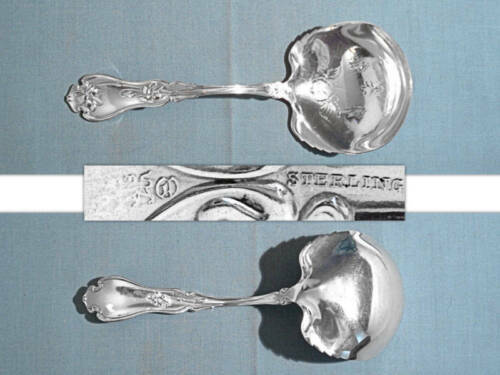 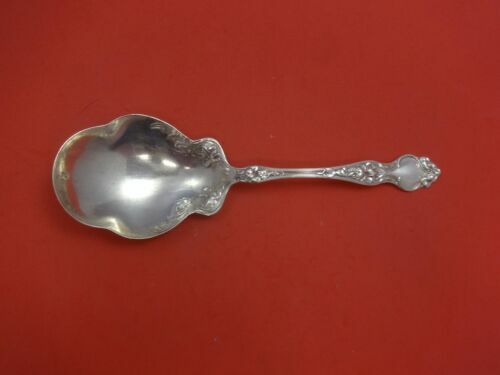 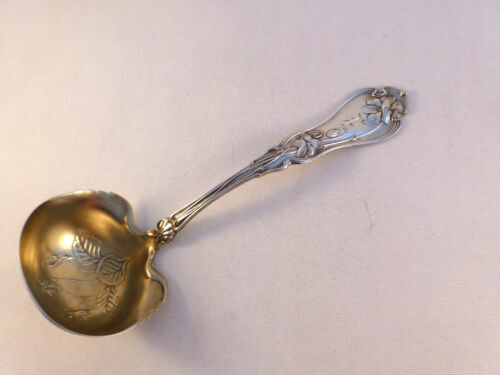 STERLING SILVER Teaspoon 1905 Violet Pattern 5 3/4"
$275.0 Violet by Whiting pierced Croquette server 7 1/4"
$209.0 Violet by Whiting Sterling Silver Preserve Spoon 7 1/2"
$289.0 Violet By Wallace Sterling Silver Cake Serving Fork GW w/ Bar 8"
$209.0 Violet by Wallace Sterling Silver Berry Spoon Scalloped 9 1/4"
$429.0 Violet by Wallace Sterling Silver Trout Knife Set 6pc. 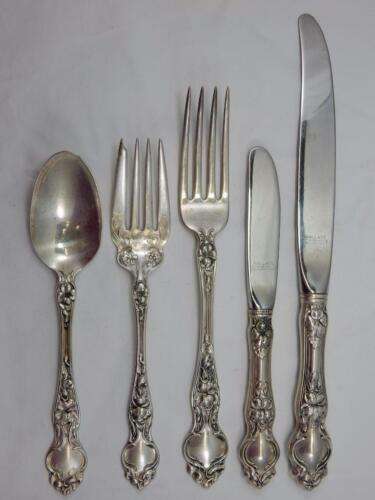 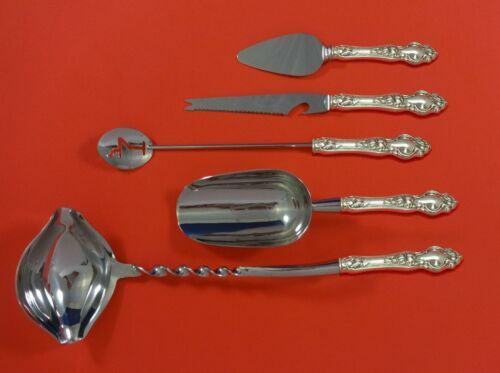 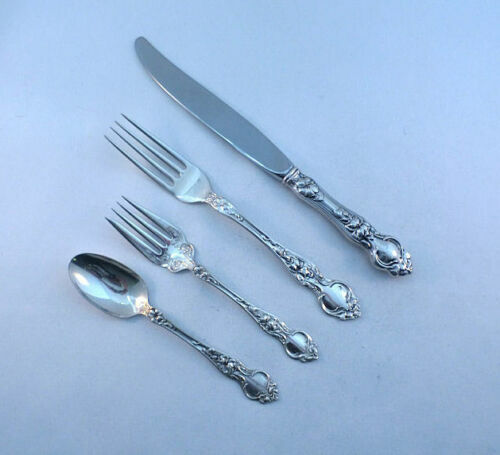 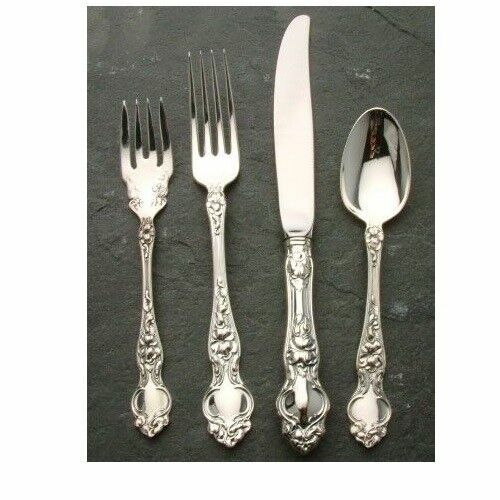 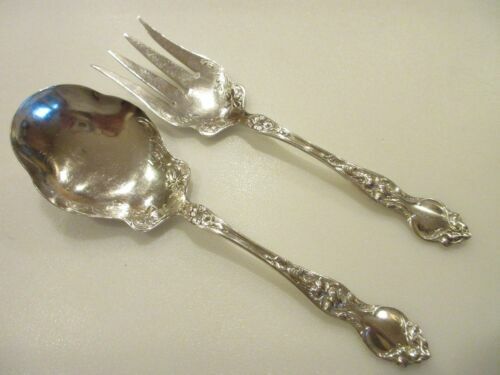 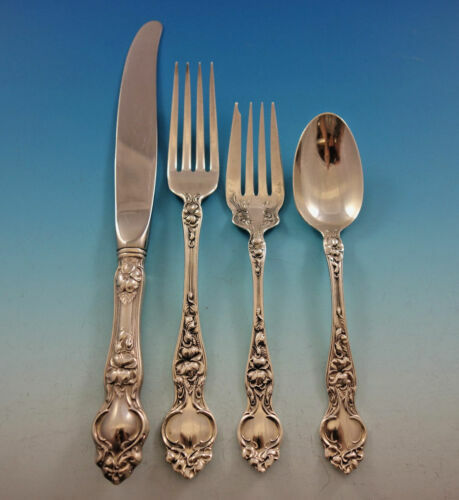 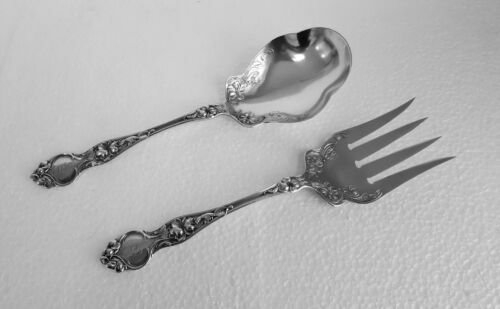 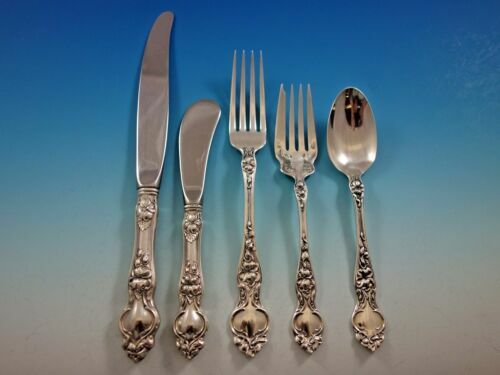 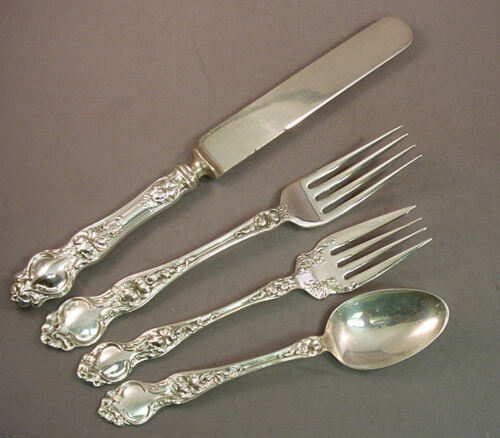 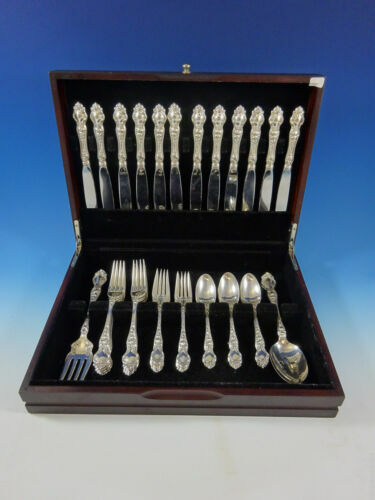 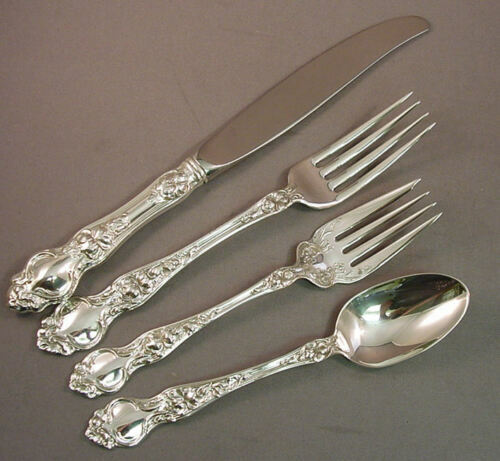 HHWS Custom 7"
Buy: $1500.0 WONDERFUL WALLACE STERLING "VIOLET" 70PC FLATWARE SET AND CLOTH CASE. 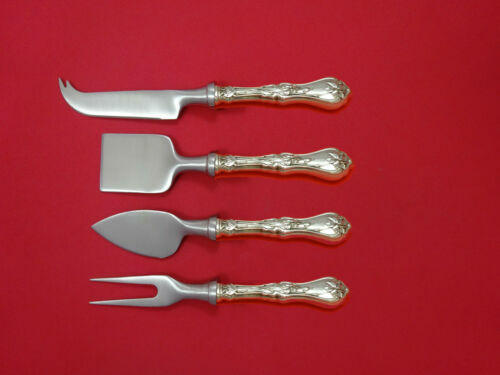 $609.0 Violet by Whiting Sterling Silver Trout Knife Set 6pc. 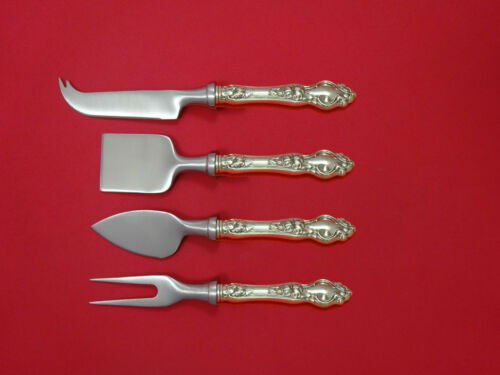 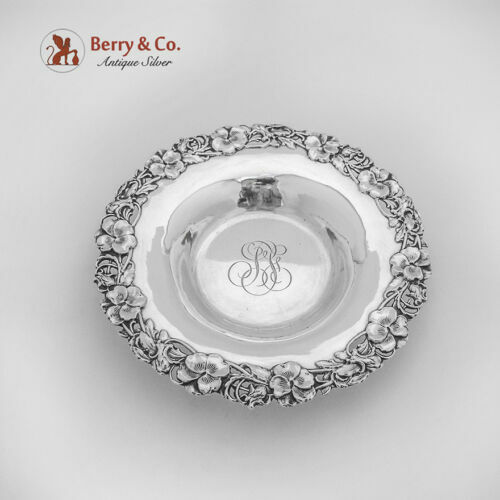 HHWS Custom Made 7 1/2"
Buy: $66.5 R. Wallace & Sons Sterling Silver Large Solid Berry/Casserole Spoon "Violet"
$389.0 Violet by Whiting Sterling Silver Fried Oyster Server 8 1/4"
$189.0 Violet by Whiting Sterling Silver Cake Server Nut Spoon Not Pierced 4 1/2"
$65.0 Wallace, Sterling, Large spoon, Violet pattern, 7.25"